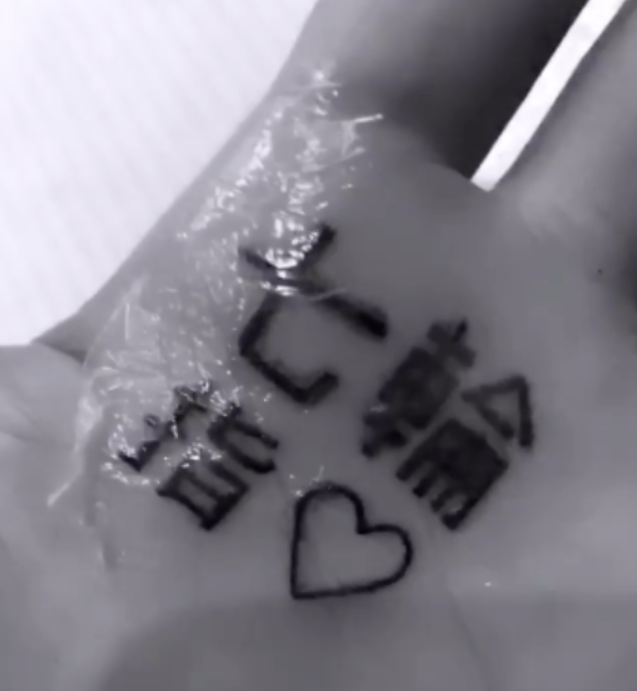 In celebration of her most recent single “7 Rings,” as well as her upcoming album thank u, next, Ariana Grande decided to get a new tattoo that was supposed to translate the name of the song. Unfortunately, it ended up being interpreted as “shichirin,” a type of small charcoal grill. Many ink advocates make the mistake of choosing foreign language characters without knowing exactly what they mean. The Grammy-nominated songstress fell victim to the same when a considerable portion of her fans pointed out the common slip up in the comments of her original tweet (which has now been deleted). In reaction to the criticism Grande said that she couldn’t bear the pain of the full and proper spelling of “7 Rings” in Kanji, “I wouldn’t have lasted one more symbol lmao. But this spot also peels a ton and won’t last so if I miss it enough I’ll suffer thru the whole thing next time.” Today however, Billboard’s 2018 Woman of the Year got her tattoo adjusted, adding the necessary characters to properly convey her original message. In the new post, she gave a shout-out to her doctor for providing painkilling lidocaine shots, which made the completion of the project bearable. See the updated tattoo below.